Why do we feel a strong sense of enjoyment and comfort when eating certain foods? Whether we are digging in to delicacies enjoyed on special occasions, or eating a raw vegetable grown in our own gardens, there is something beyond the flavor receptors on our tongues that make the experience of eating so enjoyable. 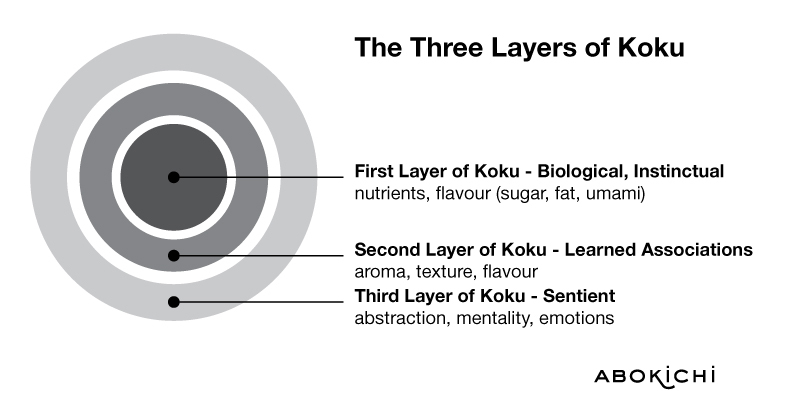 While we consider how we can tap into the experience of eating, beyond flavour, we will explore the Japanese concept of koku. We would like to use this concept to promote healthier eating habits, but first, we need to have some understanding of umami, the fifth flavor, following sweet, sour, salty, and bitter.